Down Syndrome Families Divided Over Abortion Ban An Ohio bill would ban abortions after a Down syndrome diagnosis. It has become a divisive issue in the community, much like it is everywhere else. Kelly Kuhns's 2-year-old son Oliver was born with Down syndrome. 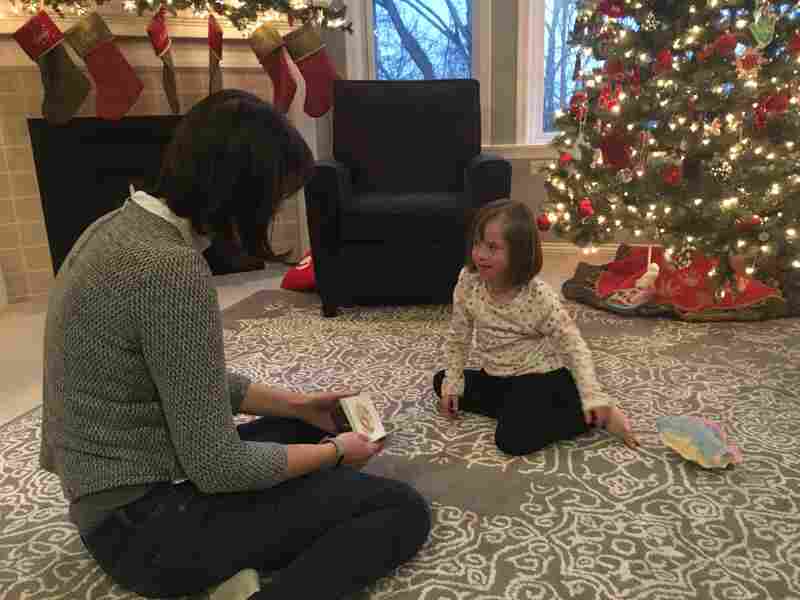 She says that she was shocked when a prenatal test revealed a Trisomy 21 mutation. But, she says, "he's still a baby. He's still worthy of a life just like everybody else." When a pregnant woman finds out that she's likely to give birth to a baby with Down syndrome, she's often given the option to terminate the pregnancy. But families affected by the genetic disorder, which causes developmental delays, are conflicted over whether such abortions should be legal. Ohio could soon become the latest state to restrict abortions based on a Down syndrome diagnosis. A bill that would make it a felony for doctors to perform abortions after a Down syndrome diagnosis is moving through the state legislature and could be ready for Gov. John Kasich's signature as soon as this week. "He's still worthy of a life"
The mothers in this story have a lot in common. Both live in Ohio. They're a few years apart in age, both work in the medical field, and each has a child with Down syndrome. Kelly Kuhns, 36, lives with her husband and their three children outside Columbus. 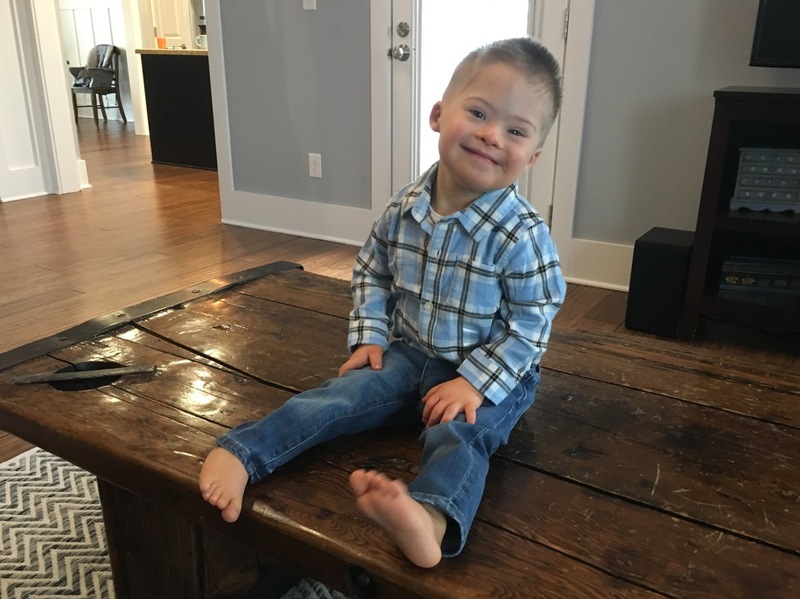 The youngest, 2-year-old Oliver, was born with Down syndrome. Kuhns, who works as a labor and delivery nurse, says a prenatal test during her pregnancy with Oliver revealed a mutation called Trisomy 21. "When my provider called me and told me that the test came back positive for Down syndrome, I was definitely shocked. It was not what I was expecting at all," Kuhns says. "I grieved — deeply." But Kuhns says she never considered ending the pregnancy. "He's still a baby. He's still worthy of a life just like everybody else," she says. Kuhns has testified in support of the Ohio bill. But Kuhns says she keeps her opinion to herself at local meetups with other parents of children with Down syndrome because the issue is so controversial. "I try not to bring this up, just because people are so passionate," she says. "And I value my friendships with people." Down syndrome as an "easy face"
About two hours away in Cincinnati, Emily Chesnut lives with her husband and their four children, including 6-year-old Nora. Chesnut was pregnant with Nora and her twin when she was told that Nora had a heart defect that could indicate the presence of Down syndrome. Chesnut opted not to get any further testing to confirm or rule out the disorder, because she says she was more concerned about her daughter's heart condition. "I had seen people with Down syndrome before ... and I knew that they lived good lives," she says. Emily Chesnut with her daughter Nora, 6. Chesnut, who's 40 and works in IT for a local hospital, believes women should be given a choice about whether to continue such a pregnancy. She and other abortion-rights advocates argue Down syndrome is being used to push an anti-abortion agenda in a handful of states including Ohio, which has passed several new abortion restrictions in recent years. "Down syndrome is an easy face ... Everybody knows somebody or has seen somebody or has a friend of a friend [with Down syndrome]," Chesnut says. "So I really think Down syndrome is just kind of being the pawn to the bill — which is just restricting women's choice." Some physicians and groups, including the American Congress of Obstetricians and Gynecologists, have raised concerns that such legislation could limit important conversations between doctors and pregnant women. Catherine Romanos, a family practice physician based in Columbus who performs abortions across Ohio, opposes the bill. She says she's talked with women facing a Down syndrome diagnosis, and they have a lot of questions. "They need information; they need their options," Romanos says. "And then they need their healthcare professionals to be able to support any decision that they make." Supporters, meanwhile, argue it's about protecting and valuing people with disabilities. But among advocates for people with Down syndrome, there's also disagreement about banning abortions. Neither the National Down Syndrome Society nor the National Down Syndrome Congress have taken a position on the Ohio bill. Many families in the community are concerned about recent reports from Iceland that the genetic disorder has come close to being eradicated there through prenatal testing and pregnancy termination, says Heather Sachs. She's the policy and advocacy director for the National Down Syndrome Congress, and the mother of a 12-year-old girl with Down syndrome. "It hurts, especially when you have family members with Down syndrome who are very much integral parts of their families," Sachs says. But on the question of whether to ban such abortions, Sachs says her organization isn't taking a position. She says abortion remains a divisive issue in the Down syndrome community, much like it is everywhere else.